From the world's most illustrious zip code to the happiest place on earth, Jennie Garth still looks stunning. 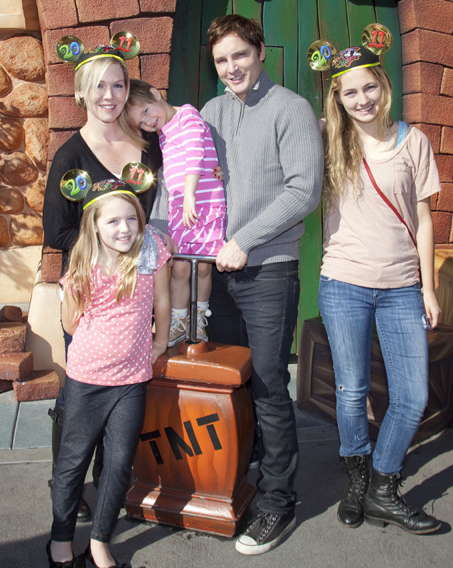 The Beverly Hills 90210 alum and her Twilight husband Peter Facinelli brought kids Luca Bella, 13, Lola Ray, 8, and Fiona Eve, 4, to Disneyland. Even without his pale one make-up, Peter still retains his ageless good looks.